Are you considering restructuring because of a downturn in your business, a change in the marketplace or perhaps ever increasing overhead costs? Regardless of whether you’re a small business that employs people or an employee of a small business, the word 'redundancy' sounds bleak and fills everyone with a sense of dread and fear. However, as strange as it may sound to you, it needn't be like that. We can help you determine whether there is a redundancy or if there are more effective options such as flexible working, job sharing or short time working. We will support you in planning the programme so that you are compliant with current employment legislation. The programme will include items such as a review of all jobs involved, development of a fair selection criteria, relevant timescales, identified key stages, essential documentation and where necessary, notification to statutory bodies. If you have an in-house HR deparment, Plain Talking HR can also provide additional support in conducting consultation interviews, the selection process, researching alternative employment opportunities, undertaking the appeal process, supporting the communication process and providing guidance training for those involved. 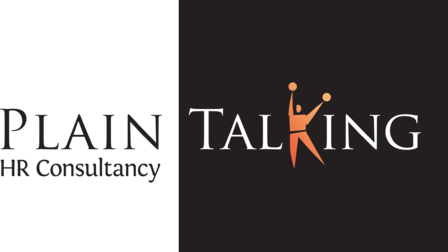 At Plain Talking HR we offer a FREE first consultation to discuss the issues and possible consequences. We will challenge you to consider alternatives and help you to develop a strategic plan to overcome the potholes and pitfalls of organisational change. WHILST WE CONCENTRATE ON THE RESTRUCTURING OR REDUNDANCY PROGRAMME.